As the Gold Cast mayoral race enters its final hours, Mayor Tom Tate has been accused of lying about a controversial development project in which he has a major conflict of interest. Managing editor David Donovan reports. FOR YEARS, controversy has swirled around Tom Tate, a developer, over his company Crestden Pty Ltd and the allegedly underhanded way it had acquired ownership of prime real estate in central Surfers Paradise, previously belonging to a local bowls club. In what has been described as a “Crackerjack”* style scam, in 2005 Tate’s company took over running the Surfers Paradise Bowls Club, allegedly to “rescue” the then financially troubled community organisation. The club had, prior to then, been reluctantly looking to sell its greens and relocate. Having no height restrictions, the land had been attracting significant interest from developers, with the Club receiving formal offers of between $7 million and $7.5 million. But before they could accept these offers, Tate’s long-time business partner Kelvin Gersbach lobbied the Club’s managing committee to stay put, offering to "revamp” the club and bring in new corporate sponsors. The Club Committee agreed. As part of the deal, Crestden was granted an option to purchase the Club’s greens if its finances did not improve. But Gersbach’s plans to rejuvenate the club were all hot air and, so, in 2007 Crestden exercised its option to acquire the greens for the value of the debt — just $770,000. The club was subsequently shut down and its members shut out. In the lead up to the 2008 elections, it emerged that the Gold Coast Council had received a proposal from financier City Pacific for approval to construct three 70 to100 storey towers – a second Gold Coast casino – on, in part, Bowls Club land, along with other assets owned by Tom Tate. Tate, the then Liberal Party mayoral candidate, admitted he had held discussions with the financier, but denied being a part of a bid. Despite having a reported Liberal Party campaign fund of more than $1 million, Tate lost the 2008 Gold Coast mayoral election. Tate attempted to quell controversy about the Bowls Club before his 2012 mayoral bid by claiming that he would divest himself of his interest in the Bowls Club should he become mayor. Not only did he not do this, but after becoming mayor, Crestden lodged a development application with the Council he presides over for a $300 million, 52-storey tower on the site. The latest development in this saga came just yesterday (17/3/16) at the Gold Coast Media Club’s mayoral debate in Surfers Paradise, within bowling distance of the Club. There, Mayor Tate was asked whether he would sell his stake in the Surfers Paradise Bowls Club and thus remove any concerns about potential conflicts of interest in any ensuing development. The mayor’s response signalled a 180 degree turnaround from his commitment of 2012. “The Surfers Paradise Bowls Club is owned by two other parties. I am just the third shareholder. So it’s not up to me,” he began. Gasps could be heard from around the crowded function room at the Marriott Hotel. Mayoral candidate Jim Wilson immediately attempted to respond to this claim, but was shut down immediately the moderator, a reporter from the local Rupert Murdoch owned newspaper, the Gold Coast Bulletin. Wilson had had just spent the first minute or so of his five minute opening address (not the ‘entire speech’, as incorrectly asserted by the Gold Coast Bulletin) accusing the local media of bias towards Tom Tate and against the other five candidates. These actions by the Bulletin moderator will have done little to dissuade Media Club guests away from the veracity of Wilson’s claims. Speaking exclusively to Independent Australia, Independent candidate Wilson, a practicing lawyer of several decades standing, said Tate’s assertion about not being able to sell his shares without the agreement of the other parties was, to put it mildly, an outright lie. “Tom Tate said it wasn’t possible for him to sell his shares in Crestden,” said Jim Wilson (pictured right). Gold Coast developer/mayor Tom Tate stands to make millions from the Surfers Paradise Bowls Club site his company acquired in scandalous circumstances for a slim fraction of its real value. Now it would appear that the development he and his partners plan for this location are so lucrative, he may be prepared to sacrifice his mayoralty to bring them to fruition. With controversy also swirling around Tate in a number of other areas, voters would be strongly advised to consider other candidates before casting a vote for the developer mayor. 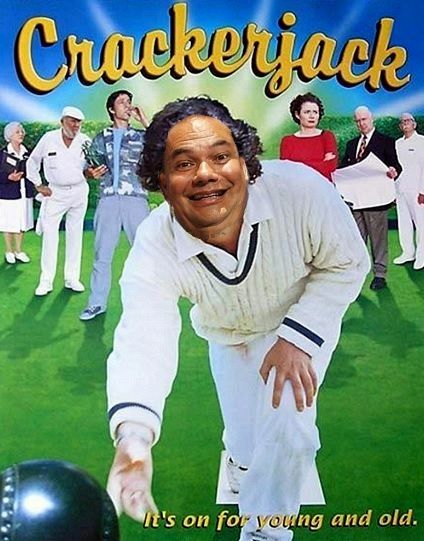 * Crackerjack is a 2002 film starring Mick Molloy which featured a similar Bowls Club developer scam to that described in this article. The City of Gold Coast is Australia’s second largest local government authority. Elections are being held tomorrow for all Queensland councils. You can follow Dave Donovan on Twitter @davrosz.